Learn the seven traits anyone entering a management role should possess. Hiring a new manager can be tricky. Do you promote from within or hire someone from the outside? Good managers know that they succeed when their team succeeds, and if they have double standards engagement levels will drop. Did you know that one in two employees have left their job to get away from a bad manager at some point in their lives? Recruiting an engaging and effective manager is key in keeping employee turnover low and productivity high. 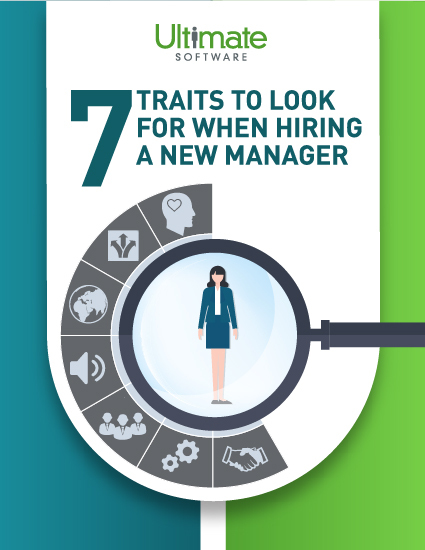 Access your complimentary recruiting guide to learn the seven key traits you should be looking for in a new manager.